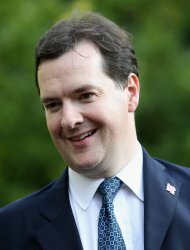 Chancellor George Osborne faces strong criticism from his Treasury number two next month over a failure to back green policies. Chief Secretary Danny Alexander will accuse the Tories of failing to recognise the contribution environmental measures could make to economic growth. At the Lib Dem autumn conference in Brighton he will also lay into "irresponsible" Conservative-led efforts to water down employment rights "with no clear evidence of effectiveness". Mr Alexander is considered to be the Lib Dem cabinet minister with the closest relationship to the Conservatives - and is a member of the influential cross-party "Quad" of senior politicians. But with the party's cherished constitutional reform proposals in tatters after backbench Tories scuppered House of Lords reform, the leadership face a battle to keep activists onside. A motion on the economy to be moved by Mr Alexander when they gather in Brighton in September expresses concern over "the refusal of the Conservatives to acknowledge that investing in carbon reducing technologies has the potential to make an important contribution to long-term growth". And it calls for the Government to accept expert calls for a firm target to all-but decarbonise the power sector by 2030 - a policy rejected by Mr Osborne. The Chancellor last month dropped his demands for significant cuts to onshore wind subsidies but at the same time secured agreement to a big future role for natural gas. In another swipe at the Lib Dems' coalition partner, the motion criticises its backing of the no-fault dismissal policy proposed in the Beecroft report - but later watered down. It highlights "irresponsible calls for policies with no clear evidence of effectiveness, such as introducing no-fault dismissal, where the evidence suggests this would weaken confidence further". No changes should be made to employment law "without clear, robust evidence that the changes will protect employees and support job creation", it concludes.